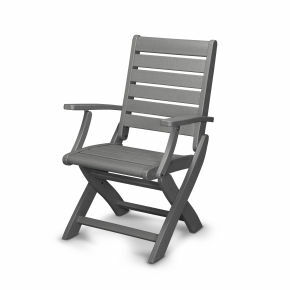 Whether your outdoor dining space is formal or casual, it's sure to be enhanced by the attractive and versatile design of the POLYWOOD Signature Dining Arm Chair. 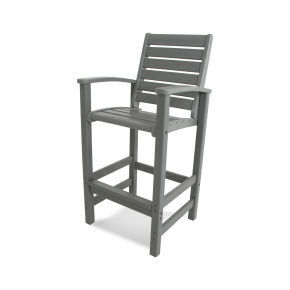 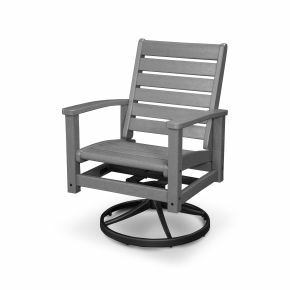 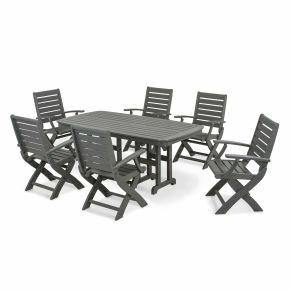 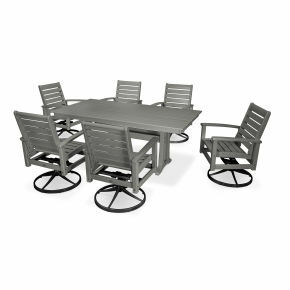 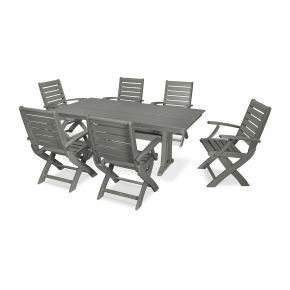 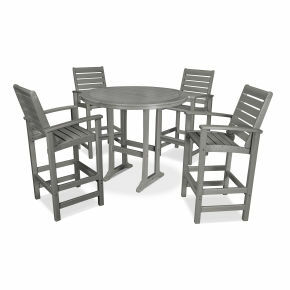 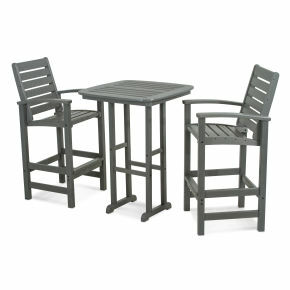 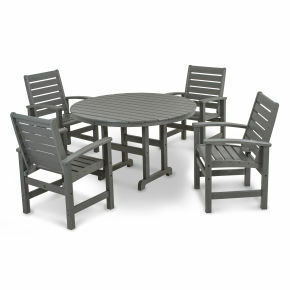 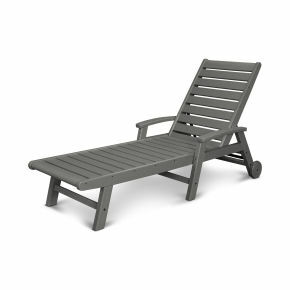 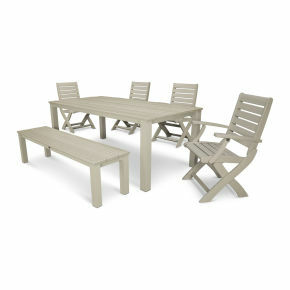 Available in a variety of fade-resistant colors, this low maintenance chair complements any outdoor décor. 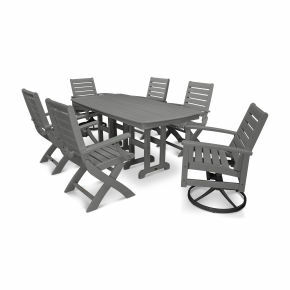 Whether your outdoor dining space is formal or casual, it's sure to be enhanced by the attractive and versatile design of the POLYWOOD Signature Dining Arm Chair. 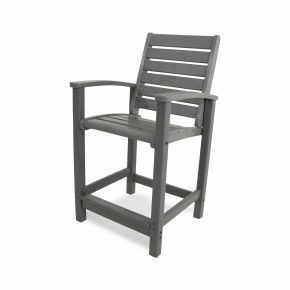 Available in a variety of fade-resistant colors, this low maintenance chair complements any outdoor décor. 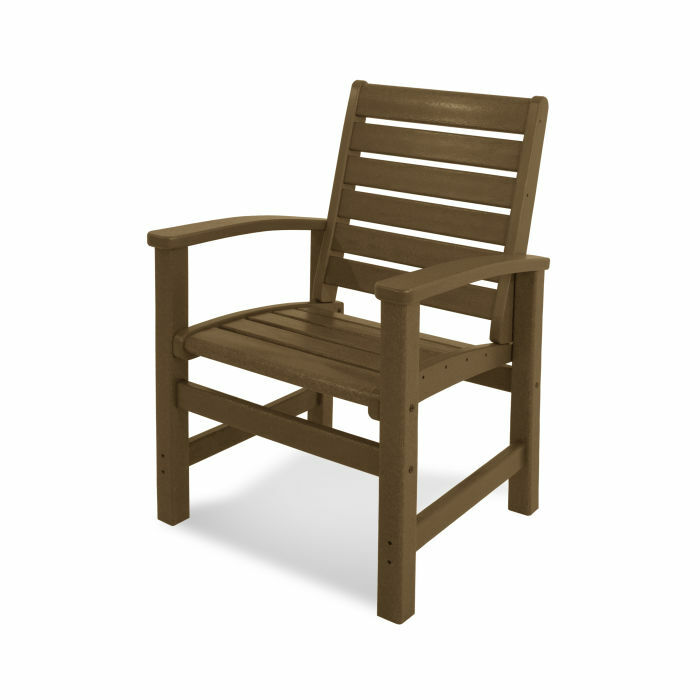 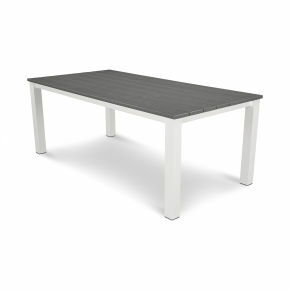 It's constructed of solid POLYWOOD® recycled lumber so, while it looks like painted wood, it never needs to be painted or stained, and it won't crack, chip, peel, splinter or rot.